This is our definition of urban explorers and Esemplare's too. Our first F/ W editorial has been finally realized. This LORD Umbrella is exclusively created for FINAEST.COM by Francesco Maglia 1854. It features a Blue and Red Pinstripe Canopy and a Shiny Maple with Horn handle fastened using a single piece of sturdy beechwood wood for the handle and shaft. This model is the quintessential classical umbrella, created following the English style. It is completely Hand-Made in Italy basing on the highest standards and it takes more than 70 steps to manufacture it. It is the perfect accessory for elegant men who would like to maintain their sartorial standards during drizzly days in the city. Moreover, a proper handcrafted umbrella by Francesco Maglia is a heirloom that can easily last longer than a generation and it is perfect as a luxury and unique gift for your friends and relatives. Create your personal outfit matching this item with Cappellificio Biellese Hats, Santillo Shirts and Mazzoleni Gloves. DELIVERY: At your home in 2-5 working days. FREE SHIPPING to Europe, USA and Canada. Few umbrellas' manufacturers are left in Europe and even fewer craft their masterpieces completely by hand in more than 70 steps of manufacturing. Francesco Maglia and his fifth-generation company based in Milano is one of these and has been creating some of the finest handmade umbrellas in the world since 1854. Nowadays Francesco Maglia still manufactures hand-craft umbrellas using the best high-quality materials and artisanal methods. 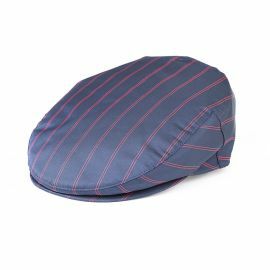 The designer realizes classic-style umbrellas in English Style, both in plain colors or patterned (such as pin-stripes, tartan or regimental stripes); at the same time, the company is constantly looking for new fabrics and patterns. Finally, this brand's peculiarity is the creation of solid stick umbrellas with different size frames realized by using a variety of woods (such as chestnut, malacca, hazelnut, ash, cherrywood, maple and hickory). Finaest.com chose Francesco Maglia 1854 because its proper handcrafted umbrellas are heirlooms that can easily last longer than a generation. Moreover, all the umbrellas on our website are Limited Edition items which are exclusively created for us. "Today our customers see, understand, and appreciate our umbrellas because they show our tradition and are considered a masterpiece of classic elegance and refinement"